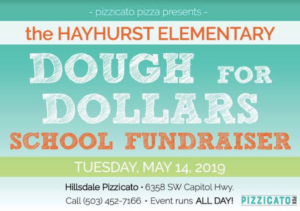 Join us Tuesday, MAY 14 at PIZZICATO 🍕 in Hillsdale to earn money for our school. Money raised provides for all kids to attend class field trips. Dine in or take out, 11:00 AM – 8:30 PM.